All Phases of Drywall, Popcorn Ceiling Removal, Wallpaper Removal, Interior Painting needed? call Sierra Construction in Dillon, Colorado. Sierra Construction is a Company based in Dillon, Colorado serving all of Summit County including Keystone, Dillon, Silverthorne, Frisco, Breckenridge, Copper, etc. and some cities in Eagle County like Vail, Avon and Edwards, but of course that if you have a big enough project we can go further than this, lately we have been doing a lot of retexturing and painting because is one of the cheapest ways to improve the look and value to any property, so if you have a big or small project we can help you, if you think that its time to give a new look to those walls that maybe are showing some age (uneven joints due to setting down, cracks, etc. ), want your walls to look like new and not outdated with an old texture, think that the texture was not done properly the first time or just want them to look different using a better texture, now is the time to do it because we have the experience and its not as expensive as you think it is. we can make any wall or ceiling look really nice, it does not matter how bad it is right now. Texturing Drywall (machine and custom hand textures). Re-texturing (changing the one you already have like from orange peel to a hand texture / skip trowel or popcorn to knock down, etc.). Drywall repair (holes, scratches, water damage, stress cracks, etc.). Popcorn Texture removal and Re-texture to a texture of your choice. 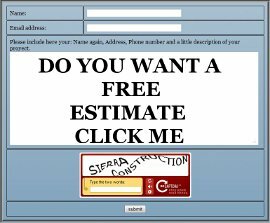 Please call us to the phone number above or send us an email from the link on the left for a free and affordable estimate and have a nice day. In the pictures below you can see a slide show of the process of doing faux painting / glazing showing every step from raw drywall to final faux paint.